Cyber crime is running rampant, while more and more people rely on the internet. Cyber security is imperative for all – the public and private sectors alike. Can a cyber security strategy meet the needs and interests of all players? Can it comprise the entire spectrum from business to national security to public services to protecting fundamental rights, democracy and the rule of law? 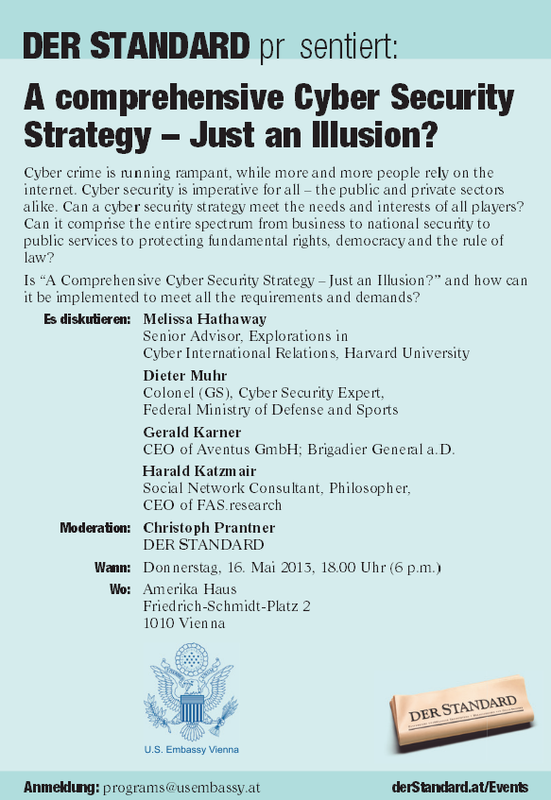 Is “A Comprehensive Cyber Security Strategy – Just an Illusion?” and how can it be implemented to meet all the requirements and demands? CEO of Aventus GmbH; Brigadier General a.D.